Sometimes it is better to not put any thought into what you are wearing and just go for the simplest outfits, that will never go out of style. Wearing a striped top with skinny jeans is the easiest outfit to pull off and is also super comfy. I am also one for going out in everyday outfits, with changing as little as possible, like a day bag to a minaudiere. So I suggest that whenever you dont have time to put together something extra, but don't want to look boring, add something stripey. Anything! These pictures were shot by a friend whom I haven't seen in many years. We both went to the French School of Budapest and then both continued our studies in the UK. When I realised he also moved back to Hungary I immediately asked him to shoot outfits together. Since my new schedule is so busy, and had no time to look for photographers, I was very happy he was willing to work with me on this. As it is getting warmer, I can finally wear crop tops daytime too. I think that for a feminine look you can go for wearing either a oencil skirt with your crop tops (like Kim K does all. the. time) or a longer full skirt, in my case this time, a pleated one. The top I have I bouhgt back in London, and I kind of wish I had bought more, and in more colours, because they are just amazing, also because of my new job, I have NO time for shopping. 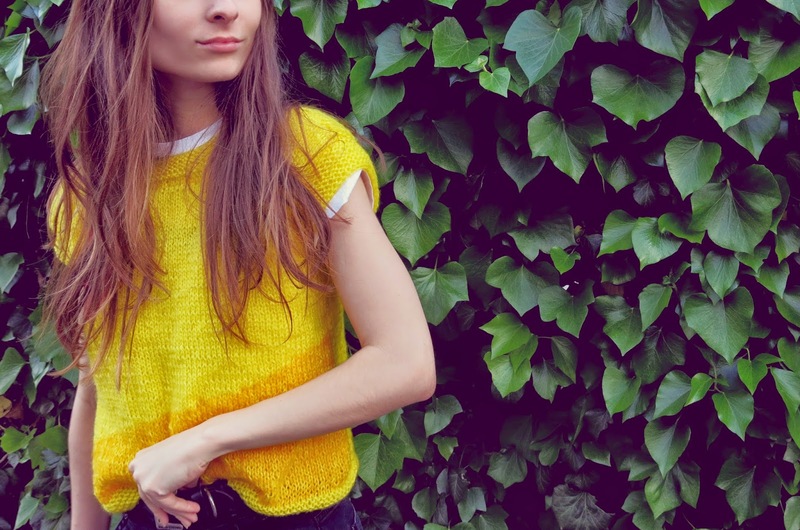 The crop top/jumper is warm with a perfect fit. And super cheap, from Primark.